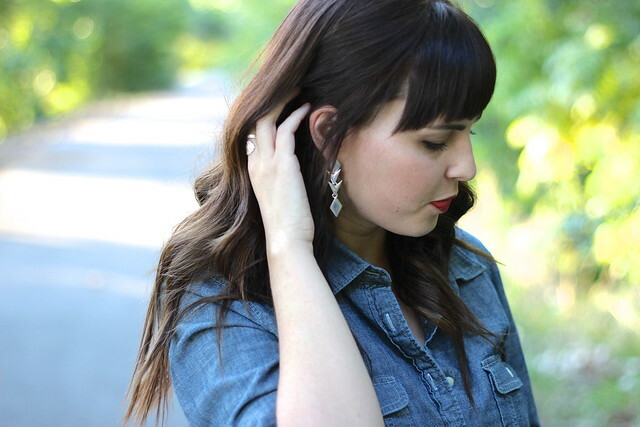 Janelle In Real Life: river trail walk and a GIVEAWAY! river trail walk and a GIVEAWAY! Hey there friends! So there's this amazing river trail right by where I live that my little boy and I walk on frequently. We decided to take photos here because the background is just gorgeous! The weather was nice and I went for an easy summer/fall transition look. 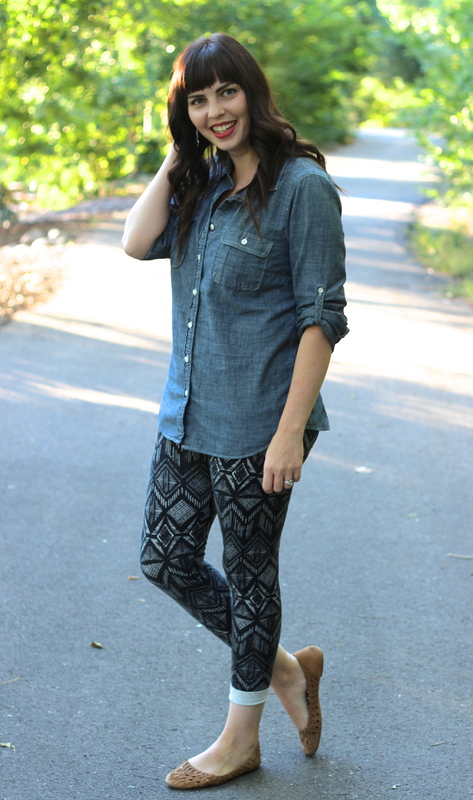 I think these leggings are so fun and I pretty much always find an excuse to wear them so it's about time they made an appearance on the blog. 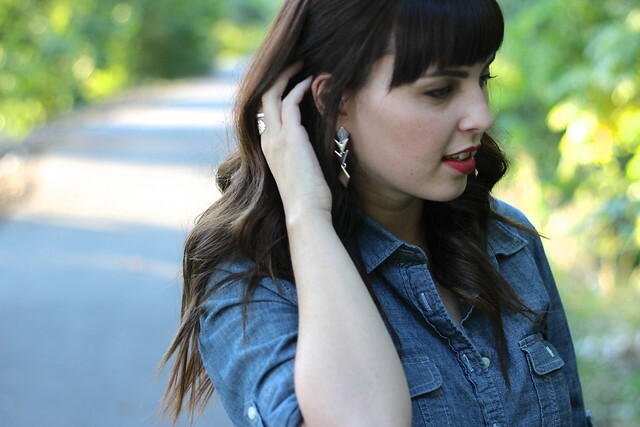 Also, I so love these earrings from Kensie! They are just my style with dainty little arrows and they made my outfit look 100% better, right? I've honestly worn them 3 times so far this week! They go with pretty much everything in my closet. 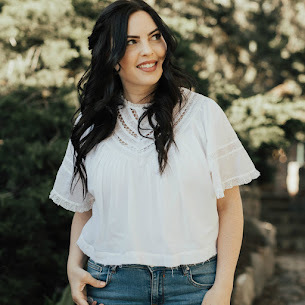 Kensie is a fab, on trend clothing brand and they're being gracious enough to give away a product from their blogger collection to one of you! Enter with rafflecopter below to win (and make sure to complete all of the mandatory entires). The earrings and the pants...nice details! Love these pants! They look great on you. Great casual look. 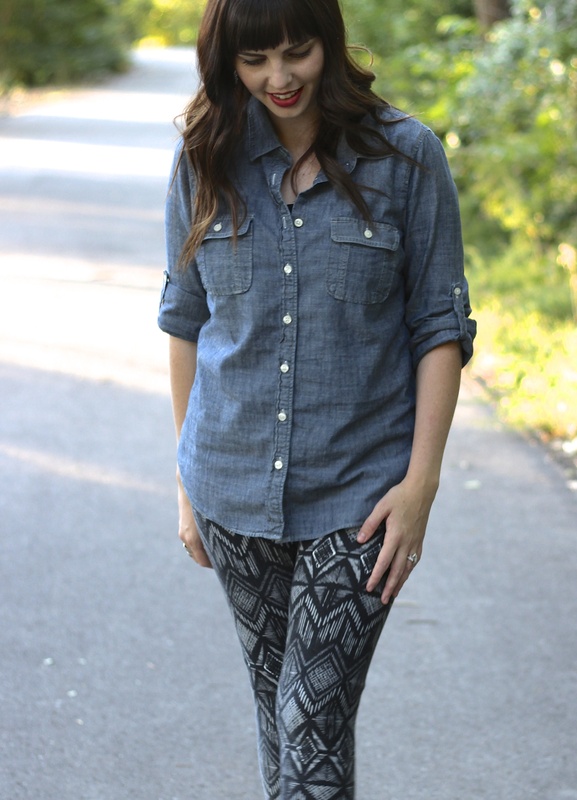 Love the printed pants with the chambray top. Cute outfit! 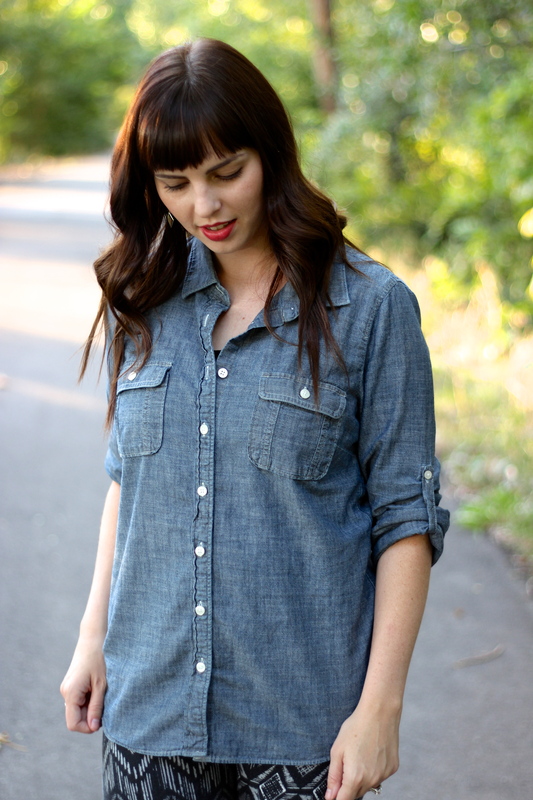 I love the combo of chambray and printed jeans. The earrings work so great with the pattern of the leggings. Awesome! I had some cute Kensie stuff a few years ago. PS visiting from WIWW, you can see my outfit at Olivia Cleans Green blog.